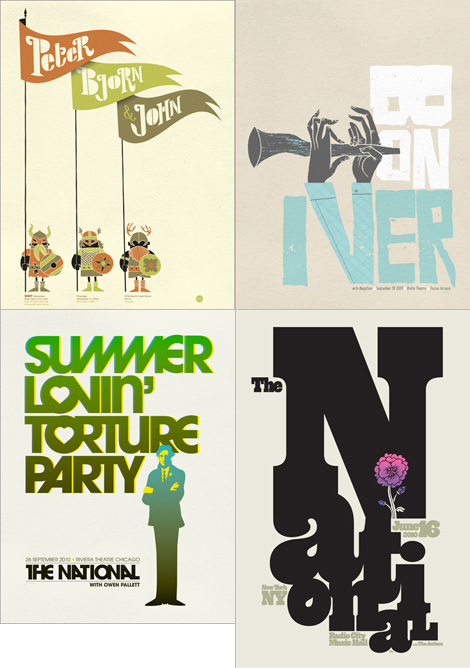 Spike Press is Chicago-based illustrator and designer John Solimine. After cutting his teeth on screen-printed posters, John has gone on to work for such clients as American Express, The Chicago Tribune, and Nike, while earning recognition from Communication Arts and Print Magazine. 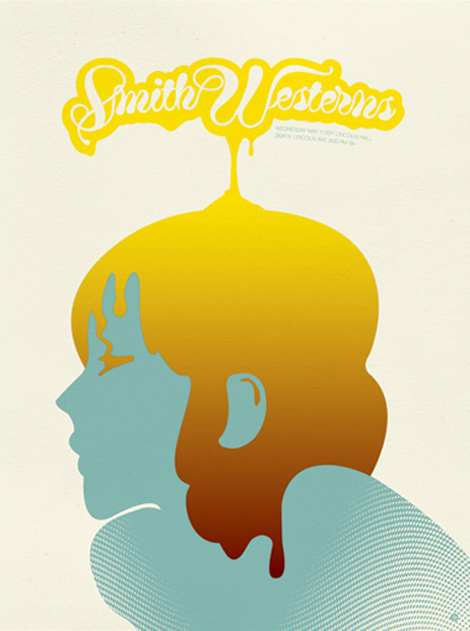 I was instantly drawn to the gradient effect in the Smith Westerns poster above, check out more at Spike Press.